By Asia Muhammad, Pullman Scholar. 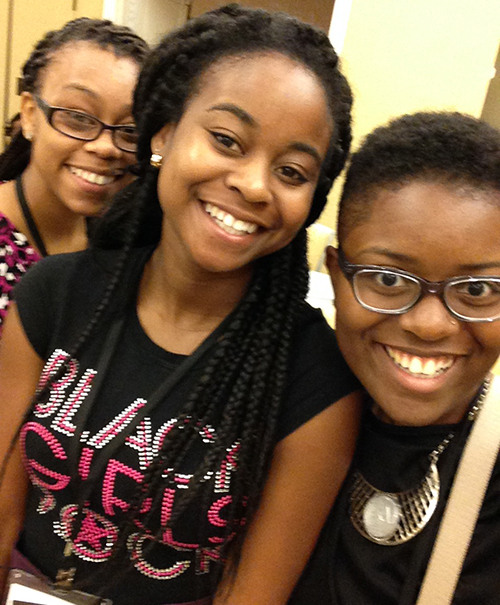 ScholarCon is a place where you can dare, dream, and discover. If you are unfamiliar with ScholarCon, then it is my duty to get you acquainted. ScholarCon is a conference held by the National Society of Colligate Scholars (NSCS). There are over 300 NSCS chapters at various schools in the United States. This honor society is special because they award $1,000,000 annually in scholarships, allow scholars to network with established professionals, and hold a leadership summit every year. ScholarCon is a mixture of awesome things. This conference gives you a chance to network with your peers who are studying a variety of subjects such as plant biology, pre-law, and much more. The conference also gives scholars a chance to attend several workshops where they learn how to apply for study abroad scholarships, develop a solutionist mindset, and how to develop a budget. Motivational speakers hold workshops, too, because the balancing school, work, and personal troubles can be very discouraging. For example, one motivational speaker stressed that it is okay to be discouraged, but do not stay discouraged—resilience is key. ScholarCon had many exhibitors such as Kaplan Test Prep, Lenovo, and the Peace Corps. 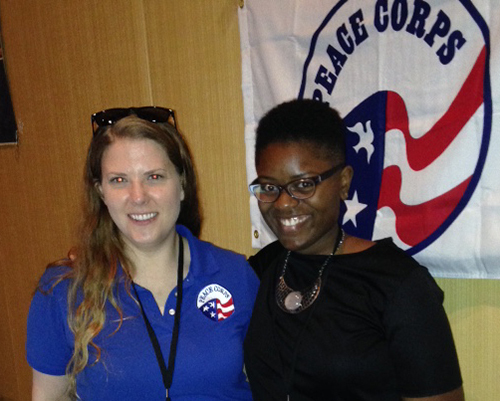 I was excited to see the Peace Corps’ presence at the conference because I plan to join the Corps for a year or two once I graduate. I spoke to Emily Whitfield who was the Peace Corps representative at ScholarCon and she told me about her Peace Corps trip to Honduras. Emily (left) spent two years in Honduras. Now she is the public affairs assistant for the Southeast Regional Recruitment Peace Corps Office. 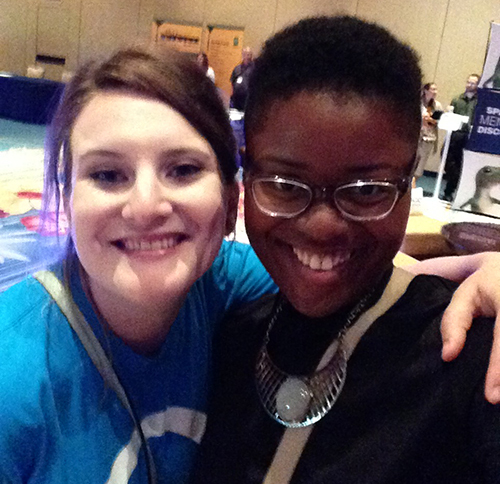 Meet Nicole, ScholarCon’s social media analyst. Since I want to see the entire world, it would only make sense that I attended a study abroad workshop. There was a panel of five women and men who spoke about their study abroad experiences, and they also informed the group of government programs that will help students fund their study abroad trip. I was really impressed by Dujon Smith, who was a panel member. He has traveled to 35 countries and funded many of his study abroad trips by reaching out to companies and telling them why he needed to participate in those study abroad programs. I found his story inspiring and I found his ideas for finding funds quite useful. Managing money and budgeting can be extremely hard. 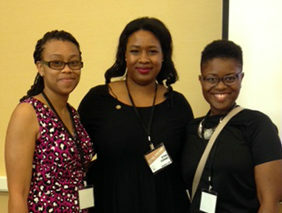 There was a “Ballin’ on a Budget” workshop at ScholarCon, where scholars learned how to manage money for NSCS chapters (this workshop was useful for any organization on a college campus). We had to get into groups to establish a plan to maximize profits for the NSCS chapters. I came up with the idea of using Squareup for fundraisers. Squareup is a credit card reader that is available on your mobile, computer, or tablet device. While participating in a fundraiser on campus last semester, I noticed that we did not make many sales because no one carried cash. If we had a Squareup, we probably would have made more sales for the fundraiser. I attended a seminar with motivational speaker Gerald Jones. His seminar was powerful and, of course, motivating. He discussed how people often focus their energy on things they cannot control, such as the weather. (Did it rain on the same day you planned to go to the beach? Instead of getting upset, plan an alternative activity). In the 21st century, we are constantly on our phones, tablets, and computers. Gerald stressed that we need to disconnect from technology and reconnect with one another, and I totally agree with him. He spoke about his past insecurities, such as his dark skin complexion. When Gerald was younger he used to try to bleach his skin. Now he loves everything about himself; in fact, he is quite confident. Gerald’s last remarks included time. Since there have always been 24 hours in a day and seven days in a week, there is enough time to do anything you please; therefore, manage your time wisely. 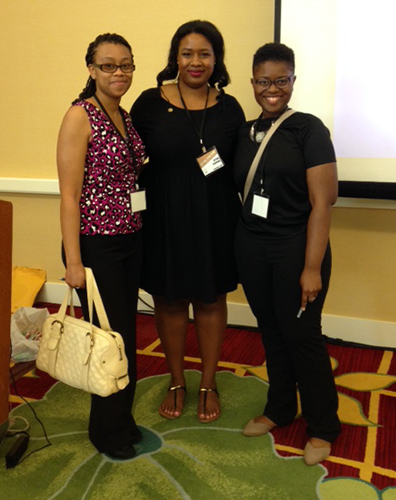 I was honored that the George M. Pullman Educational Foundation granted me the opportunity to attend ScholarCon. I have never been to a conference like this one. I learned so much at the sessions that I attended; I learned how to build a strong community within an organization, maximize profits for an organization, create a stellar resume, and so much more! Also, I was presented with the opportunity to start an NSCS chapter on my college campus. I am excited about getting that chapter prepared for the upcoming school year. Thanks to the Pullman Foundation I was able to learn valuable lessons, network with phenomenal people, and have some great memories. Like I said before, I am honored that I was chosen to experience ScholarCon!